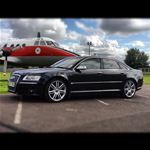 Ultimate Tinting Gatwick is part of the nationwide specialist tinting company Ultimate Tinting. Our single objective is to ensure complete customer satisfaction by using the highest grade materials, matched with professional trained engineers and backed by our industry leading "as long as you own your car, we'll warranty our work", warranty. At UTG we specialise in all applications of tinting film (vehicle, commercial, residential), and automotive vinyl wrapping from complete coverage to single panels. We can also advise on other products to reduce heat and provide privacy. We specialise in paint protection for your car, (classic, prestige, super car, race, lease, 'pride and joy'), to ensure you maintain not only the look but also value. We also provide advice on interior design applications for all types of materials using the most advanced films and vinyl materials to give the desired look and texture to any surface including metal, wood, stone, furniture or walls.